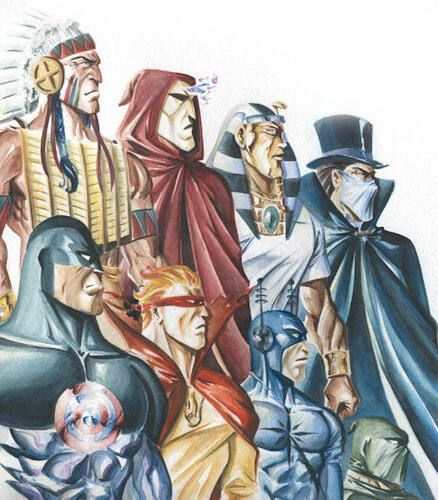 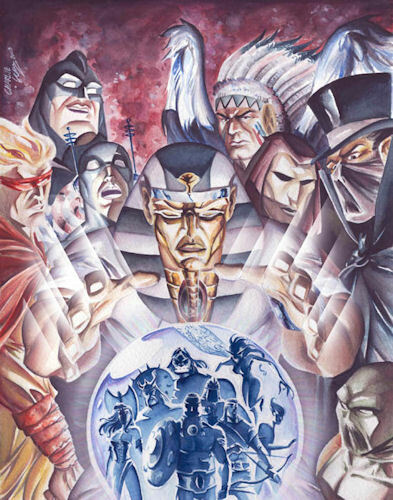 History: In the 1930s, when Nazi sorceror Runemeister threatened the world by providing the Reich with an army of the living dead, eight heroes gathered together to defend the world against them. 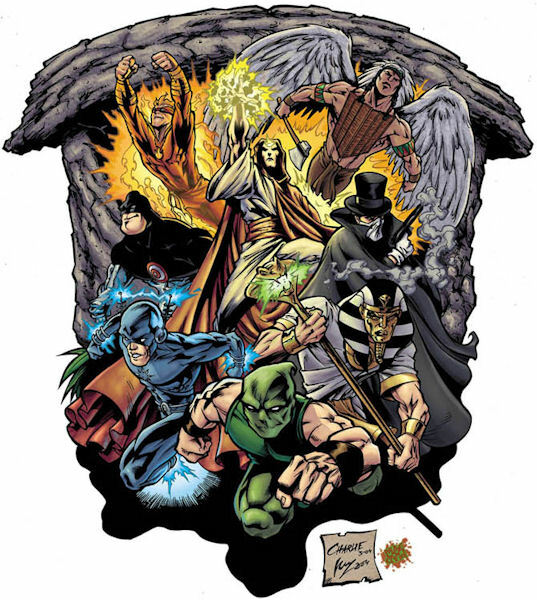 Comments: Created by Pedro Angosto (writer) and Carlos A. Rodríguez (artist). 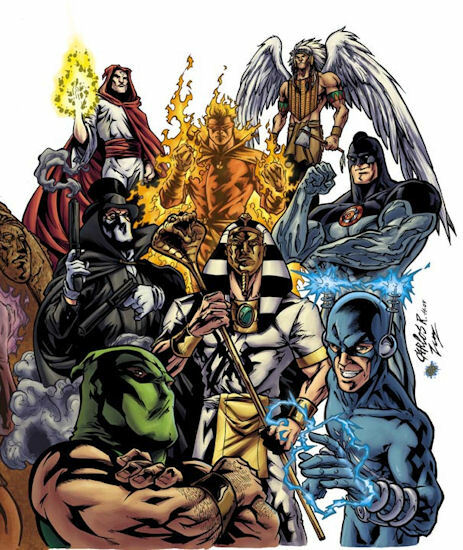 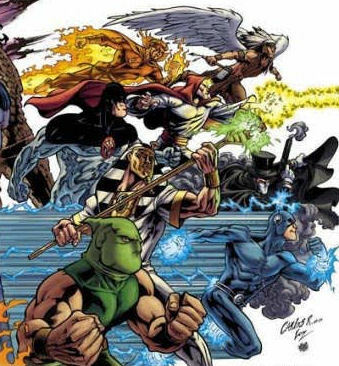 The comic was intended to be a six issue mini-series, but only three were initially released, with a later "Part 2" eventually following in 2005, a single volume combining the final three installments.